Whether you're a rock 'n roll diva or not, there's no denying that studs are a must-have this season. Using an elegant piece with studs can look biker-chic without being too rough. High end designers like Christian Louboutin and Jimmy Choo have led the way with this trend as platform shoes are accessorised with tassels, metallic detailing,... and are the perfect guideline to find the right studded heels. 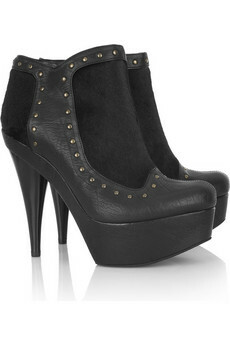 Studded heels can really add an edge and a glamorous touch of rocker Hollywood to any outfit. I would totally wear the 1st pair you chose. I really like this look! Great photos. I hate to spam, but the last hours of my giveaway are going on! You still have time to try your luck! Loving the pics! These shoes are fabulous! I love studs!! 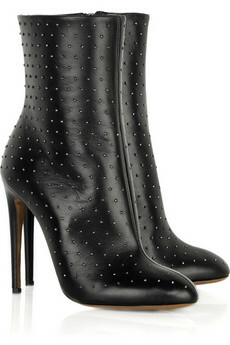 And I love the Fendi pair the best! So gorgeous! Love these studded heels !